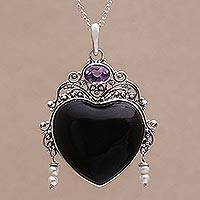 Welcome to Novica's Pearl Jewelry gallery, featuring pearl necklaces, bracelets & earrings by talented world artists. 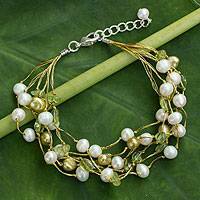 Explore this gorgeous collection of handmade pearl jewelry, featuring the creative art of silversmiths and jewelers from Brazil to Bali. 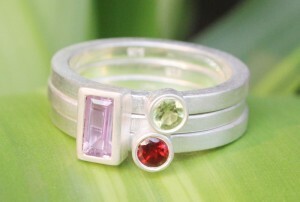 Read about the artists and the inspiration behind each treasure they create. The timeless beauty of pearls is shrouded in mystical legends. In ancient China, myths told of pearls falling from the sky when dragons fought, whereas other cultures said they were tears of the gods. Elegant pearl necklaces and pearl chokers capture the inspired essence of myths. 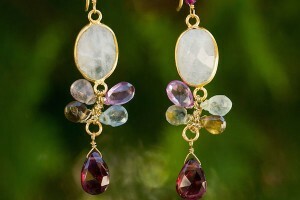 Mother Nature tells us that pearls are formed inside oysters and mussels, when a tiny stone or grain of sand gets inside. 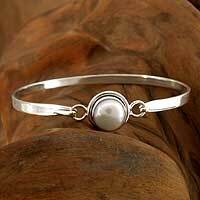 A pearl is formed as layer after layer of nacre surrounds it to protect the mollusks. 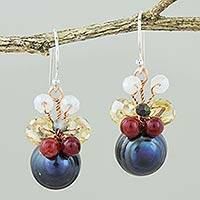 Cultured pearls are formed intentionally by inserting a foreign object, while freshwater pearls are formed specifically in fresh water mollusks. 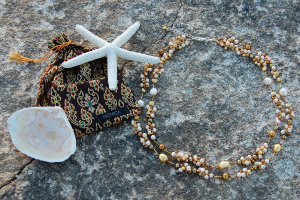 Pearls are believed to foster wisdom, to quicken the laws of karma, and strengthen engagements and love relationships. 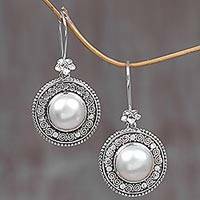 Original pearl earrings lure with romantic elegance. 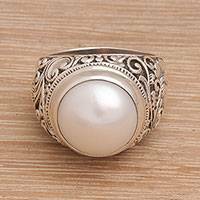 Pearl rings blossom with the promise of love, for the ancient Greeks believed wearing pearls would promote marital bliss and prevent newlywed women from crying. 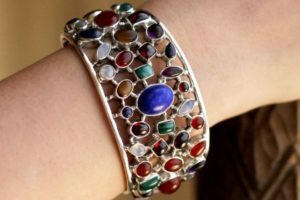 Black, white, or pink, iridescent and colorful, pearl bracelets inspire designs ranging from classic and traditional, to bold and sophisticated. Pearl is the birthstone of June, Gemini and Cancer. 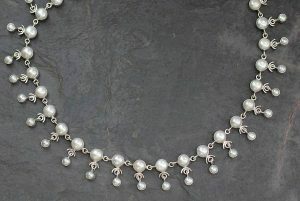 Freshwater pearls are given on the first wedding anniversary.